Montréal's vision as a Candidate Host City is the promotion and celebration of the sporting, cultural, and social legacy of the 2026 FIFA World Cup™ before, during, and after the event. Holding the 2026 FIFA World Cup™ in Montréal will reinforce football as a leading sport as well as a uniting social force and catalyst for development in Canada and North America. In Montréal, business, the arts, culture, and sports would work together in new and innovative ways to ensure that this shared project is a Montréal-style success. Montréal is the second largest city in Canada and is home to nearly half of the population of the province of Québec. It is a major industrial, commercial, and financial centre, and a focal point of francophone culture in North America. The city also played host to the 1976 Olympic Games and the legacy of this event has enabled Montréal to develop world-class sporting infrastructure including Olympic Stadium, the Claude Robillard Sports Complex, the Étienne Desmarteau Centre, and many world class facilities. The city is a focal point for top-level sports in the province, with big clubs bringing fame to the city for more than 100 years. The Montréal Impact has been the city’s top professional club since the 1990s, winning league and playoff titles, Canadian Championship titles (2008, 2013, 2014). The Impact were also notably runners up in 2014-15 Concacaf Champions League. The city has hosted major soccer tournaments and holds the Canadian attendance record for a soccer match: 71,617 for the Championship Final of the 1976 Olympic Football Tournament. 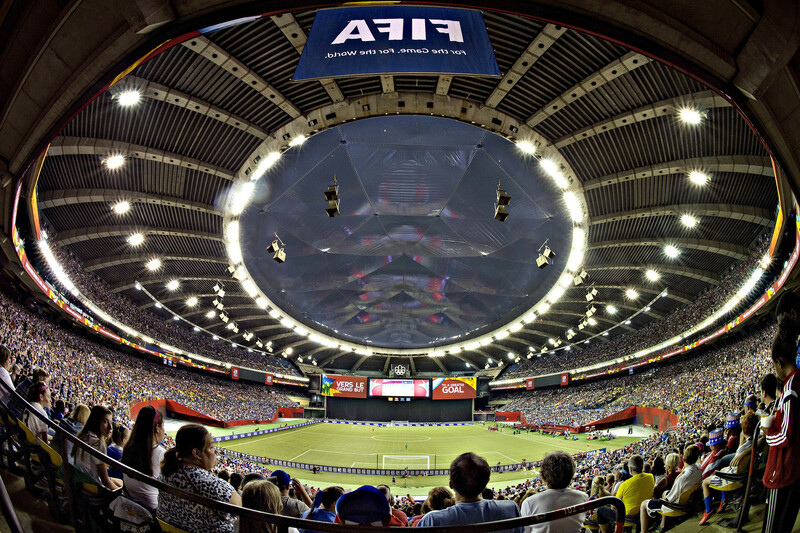 Montréal's Olympic Stadium has also hosted the largest Canadian soccer crowd of the year more than a dozen times, six of which were the largest of any in-stadium sporting event for the year in Canada. Montréal hosted the 1976 Olympic Games, FIFA World Cup™ Qualifiers, the 1994 CONCACAF Women’s Championship (where Canada qualified for the FIFA Women’s World Cup™ for the first time), the FIFA U-20 World Cup Canada 2007, the FIFA U-20 Women’s World Cup Canada 2014, and the FIFA Women’s World Cup Canada 2015™. Montréal hosts several professional teams, notably the Impact (soccer), Canadiens (hockey), and Alouettes (football). The city also hosts the annual tennis Rogers Cup as well as the Formula One Grand Prix. The greater city includes the Impact Academy program as well as Canada Soccer’s Québec Regional EXCEL Centre for young women footballers.